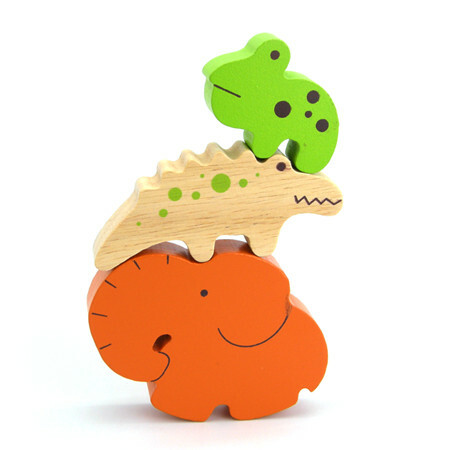 Wooden Stacking Puzzle Creatures is a lovely 3 piece puzzle with a frog lizard and elephant who all fit together into a tray. This is a beautifully designed toy with smooth chunky pieces. We like this because: "Very appealing design."